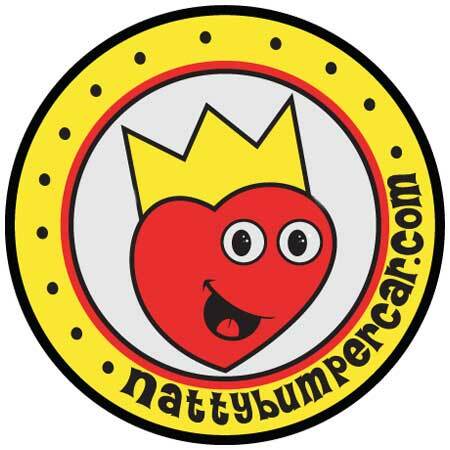 Natty Bumpercar hails from the wonderfully imaginary land of Coffee-Can Alley where ghosts sit with flowers, mice play with whales, and kittens poke fun in a vain effort to level the playing field. He is a self-professed “big fan of making all kinds of stuff” who rarely puts forth any kind of an idea about anything without first running it by his live-in band of malcontents Irving Brown Socks, Spot Elliot, and Peanut Lou. I should mention that not-for-nothing, Natty Bumpercar tends to shade towards knowing a lot about nothing. He draws, paints, animates, writes bunches of words, changes diapers, gets stuck in awkward situations, tells ridiculous stories, makes funny voices and produces two web comics (Snowflake and Ants). He would love the benefit of the doubt. He is almost sure that junk food therapy is the key to his miserly success.